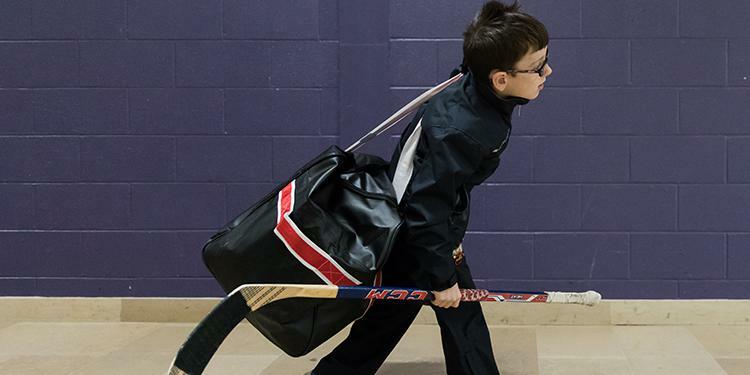 There are many ways that parents and coaches can get involved in helping to teach their players responsibility off of the ice. Giving kids tasks to be in charge of can teach them independence and also give parents one less thing to worry about at the rink. If players are annoyed that their equipment smells bad and isn’t clean, teaching them to take the initiative to air it out gives them the knowledge that things don’t just get done without action. They can take ownership of something that directly effects them and make a difference about it. Before you know it, they’ll be doing these tasks without needing to be nudged in the right direction. Asking them to help out with a hockey-related task - something they already like to do - is a great starting point. Many kids thrive when given the opportunity to show that they are up for the task and able to do something independently. These challenges help teach players respect, time management, healthy eating and organization. Here are a few opportunities that players can take on as they grow through hockey to teach them responsibility.